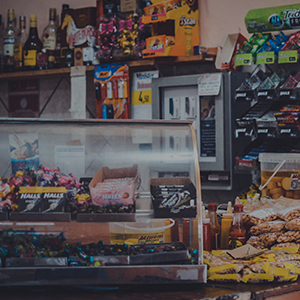 From early morning breakfast specials to closing time cocktails, our Point of Sale Software will help you manage the successful serving of food and drinks with speed and accuracy. For more information about your industry, download the use case to see exactly how TallOrder can benefit your business. How will our TallOrder Point of Sale Software Solution Benefit your Restaurant? Our backend customisation allows our POS to help your staff to ring up menu items easily and accurately, and complete these orders in fewer clicks. Customisation will help in upselling items, which will result in increased revenue. Accurate service = happy customers and happy customers = return revenue! Our ToGo online ordering app app lets customers order food and drinks from their laptop, phone or tablet to be collected. A speedy and efficient way to serve your customers without asking them to hang around and wait for their order! ToGo will also open up a new revenue stream for your business. Whether you need to take orders from your till point or at a table, our POS will help you enter these orders quickly and accurately. A restaurant experience with less errors results in a happy customer experience! In the restaurant industry, timing is everything. It is critical that patrons do not have to wait too long or get rushed along, as this will result in an unpleasant dining experience. 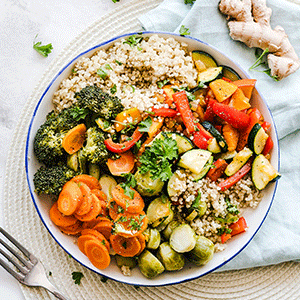 In addition to anticipating customer’s needs, the arrival of food on time will make sure customers are happy. Our easy ordering service lets waitrons input information quickly and efficiently, meaning that the order is off to the kitchen correctly in record timing. Having required figures and trends on hand helps you understand the growth of your business and where improvements can be made. Our Cloud-based data warehouse enables speedy and accurate reporting services, allowing you to access your key metrics whenever needed. Split bills are a common occurrence for the seating of tables of two or more. Our smart solution allows your customers to split bills easily and without confusion, whether one bill or multiple bills are needed. This convenience will result in the payment process being seamless and efficient. Let us help you increase your revenue by becoming a TallOrder Partner! Fill out the form below and we'll be in contact. A POS solution that is fast and efficient will help staff input information swiftly and accurately. TallOrder’s smart backend functionality promotes upselling of products by guiding and educating your staff. This results in an easy ordering process, which increases customer satisfaction. Happy customers = returning customers, which means revenue increase and business growth for your company. Our POS meets the needs and wants of our customers and business owners with a complete Cloud-based solution! Cloud computing is affordable, flexible, remote controlled, secure and collaborative. It also takes care of security back-ups, software updates and integration. Manage your products and pricing, control purchase orders, suppliers, stock levels and manage sales trends through reporting. We offer deep, order-line integration to Sage and other Cloud-based accounting software systems, letting you enjoy faster, more accurate accounting with no duplications. 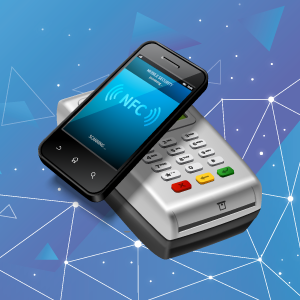 TallOrder offers integration with leading digital Payment Service Providers as well as payment via NFC technology. No matter how your customer would like to pay for their desired item, our integrated system will be able to process the payment quickly and easily. Another first! Allow customers to order items directly from their table with the use of a tablet or personal device for faster service delivery on smaller items. (For the hospitality industry, this would include drinks, starters or desserts). The secure Cloud-based data warehouse enables flexible, fast and accurate reporting, easily accessible and displayed, placing your business’ key metrics at your fingertips to be accessed anywhere, anytime. The TallOrder POS will keep functioning even if Internet connectivity is down or disrupted. As soon as Internet connectivity is up again, all transactions will be synced to the Cloud. Extend your business’ revenue with TallOrder ToGo. Let your customers order and pay directly from any device, anywhere. You approve the orders and prepare them for collection or delivery once paid. The TallOrder Point of Sale Solution can be fixed or mobile. This means that the POS device can move from counters to tables and around stores, therefore saving time for customers during the ordering and purchasing process. Our smart backend solution allows staff to enter orders and purchase quickly and with ease. The intuitive UI helps avoid mistakes and assists in upselling, helping complete orders in record timing. Manage and update pricing across all restaurants/retail chains with ease. You will also be able to view real-time reporting and other live metrics of all applicable branches. Thorough support for all customers is only a call or email away. Our helpful support team is ready to answer your queries 24/7. Request a TallOrder Demo Today! 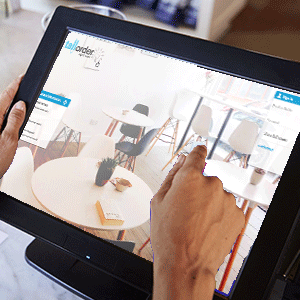 Want to learn more about how TallOrder can help your independent Restaurant? Contact us today! A Fully Integrated Cloud Point of Sale Solution Built to Improve Speed and Accuracy.